Are Saudis the most open nation in the Gulf? Hands up all those people who’ve heard of or been to the cosmopolitan Dubai. I’m sure that you’ll know about Qatar, the country that has made a name for itself by investing all over Europe and for winning the 2022 World Cup. And there’s Kuwait, probably best known for its role in the first and second Gulf wars. One of the most beautiful countries I’ve ever visited, one could say that Oman unfortunately isn’t as well known abroad as it should be. And then there’s Saudi Arabia, a mysterious land which up until recently was spoken of in Chinese whispers. The Magic Kingdom was a country that was known for oil, religious and cultural conservatism. Despite the spread of the internet and the ensuing countless videos and other types of multimedia information hosted online Saudi Arabia is still an unknown to most people. The country’s reputation, image and visa regime doesn’t help to educate foreigners, but I’ve been struck recently on a number of occasions how open today’s Saudis are. This is especially true of the younger generation. Many of the Saudis I know who are under the age of 40 will talk about anything and everything, especially in a closed environment. They’re knowledgeable, they’ll know much more about the workings of the country and national government than is written about or published in the news. And they’re not afraid to be blunt about what is right and what is wrong when it comes to public policy. Having lived in Saudi for a fair few years I’ve always been fascinated by how Saudis are becoming ever more open to sharing their views with people they know and trust, especially in the setting of the Majlis where the men traditionally gather in the evening to discuss both personal and business issues. The difference in openness between Saudis and other GCC nationals is becoming ever more noticeable. While traditionally the most open society in the Gulf, Bahrain has been transformed due to the events of the past two years. Both Qataris and Emiratis are very welcoming, but they’re less inclined than Saudis to talk at length with foreigners on the issues that are shaping their respective countries. And then there’s the Kuwaitis, who are probably definitely the most outspoken people in the Gulf. But for me, today’s Saudis are more open because many will acknowledge both the positives and negatives of their country. I’m not suggesting that the country is a bastion of diverse views which are aired in public by all and sundry. There are still many subjects that are taboo, but many barriers have been broken over the past two years partly thanks to the widespread adoption of social media by many young Saudis. Just think of any controversial topic in the Gulf, and you’re going to find it being discussed in Saudi by bloggers, on Twitter and Facebook. Looking forward, I can only hope that this openness will be a blessing to the Kingdom as it looks to tackle issues such as unemployment, the changing role of women in the society, graft and governance. These subjects will be better dealt with if there’s an open dialogue between the country’s nationals. As always, I’m optimistic about where Saudi Arabia is headed and would like to hear if you agree with me or not about my thoughts. What is the future of the internet in the Middle East? The past week has thrown out a couple of fun and serious stories and news reports about the internet in the Middle East. The first was Iran reportedly deciding to create its own version of YouTube in order to filter out what it deems to be inappropriate content posted on the world’s largest video-sharing network. There’s a screenshot from the Mehr site, which loads remarkably slowly for a site which hosts videos for viewing and sharing, below. 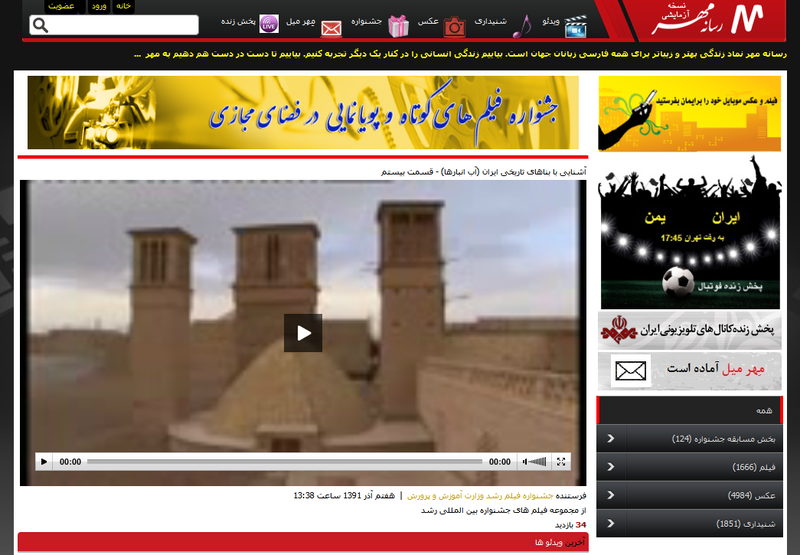 Will Iran’s version of Youtube be as big a hit as the original? The second story wasn’t as funny. The International Telecommunications Union had gathered its member states in Dubai to discuss a number of issues at the World Conference on International Telecommunications. The one which hit the headlines was internet regulation. In short, a number of countries from the Middle East and other emerging regions submitted proposals that would have allowed member countries to monitor and control data flowing through their respective parts of the internet. While this is already happening in many parts of the world, the proposed resolution would have basically made it legal and proper for all 190 or so of the ITU’s “member states” to have the power to regulate the Internet to promote security, fight spam, et cetera. A number of opinions and views can be found online on the issue, including interesting posts by technology historian Peter Salus entitled The UN and your Business: Why ITU Dubai Loss is your Gain and Why the ITU is the wrong place to set Internet standards by Tech writer Timothy B. Lee. I for one am concerned about the future of the internet and online access. While internet filtering and domain blocking isn’t new to the Middle East (the Gulf’s telecommunications bodies block material that they deems offensive including religious or pornographic material) it’s clear that the past two years have opened a Pandora’s box when it comes to control of the internet. Governments in Egypt and Tunisia tried to close off access to the internet to stop revolution. That didn’t work. Gulf countries have legislated against online threats. As I’ve pointed out above Iran is building its own country-wide internet whilst blocking access to foreign-hosted sites that pose a threat to the Islamic Republic. So where are we headed to next? How far will governments in the Middle East go in order to secure their own national communications networks? And is there anybody or anyone out there who will bring some common sense to the issue of web regulation in the Middle East? Who is watching me online? What online data do they want and why? Can I be jailed for my online activities? Do I have to self-censor my thoughts and activities? What is the future of the internet in the Middle East? Are we headed towards a patchwork of national or regional wide webs aka Iran? Or will sense prevail? Goodness knows we need commerce and entrepreneurship to flourish in this region to generate more jobs and an open internet is essential to both. Answers on an email, an online comment, or (if your connection is monitored) a postcard please! Are you up for some (more) government censorship and online monitoring? Google has done all of this and more while living by its ‘don’t be evil’ corporate motto. While Google has been criticized before for bending and breaking this mantra (most notably with its operations in China), the last couple of weeks have been remarkable. There’s probably few of you out there who have not heard about the film, named ‘the Innocence of Muslims’. The film, which has caused a global uproar, was uploaded to Youtube at the start of July. “Google is refusing a White House request to take down an anti-Muslim clip on YouTube, but is restricting access to it in certain countries. Google argues that only materials which are in clear violation of laws or that promote hate speech will be removed from Youtube. Google says The Innocence of Muslims does not however breach YouTube guidelines. However, Google has blocked users from seeing the video in India, Indonesia, Libya and Egypt due to local laws and “the sensitive situation”. Youtube’s full statement from Friday 14 September is below. For me, the video is the clearest indication yet that Google has given up on its ‘Don’t be evil’ mantra. Google had to pull down a video from Brazil after its resident of its Brazilian operations was arrested for breaking local laws. Google constantly argues that Youtube is a channel and that it has no say in what should be on that platform for the sake of free speech. However, how many newspapers would accept advertising from Neo-Nazi groups? How many television channels would run an advert for euthanasia? Just like these media channels, Google has a responsibility to its audience. This cannot simply be about pure profit and driving up viewer numbers. Google sells products globally, it has to be responsible globally as well. The fact that these videos are still on Youtube shames Google. I for one hope that the company I have admired for so long finally wakes up and does the right thing on this issue and others in the future by better defining and vetting what should go up on platforms such as Youtube and reacting to communities sooner rather than not at all. 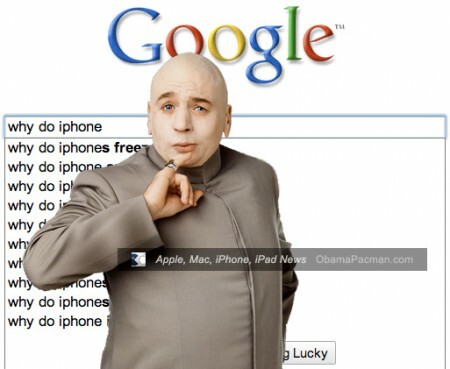 Google, please don’t be evil. Come back from the dark side.